In previous posts, these large birds have been found wandering in the bushland and forests around my hometown. 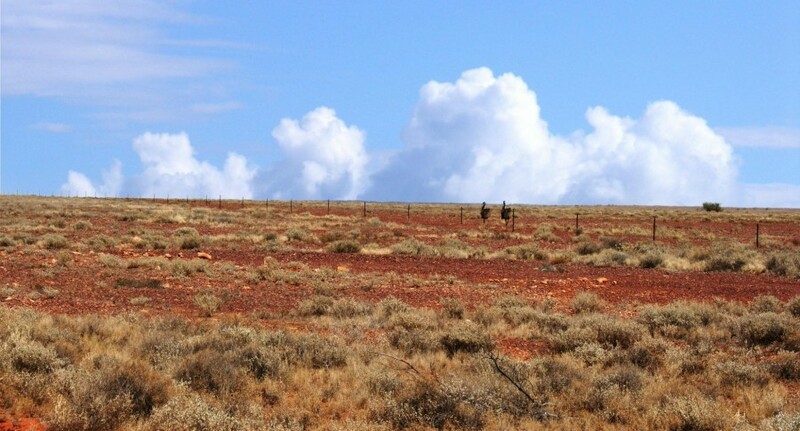 Whilst driving into Cooper Peedy from the South Australian town of Port Augusta more than 600klm away, I found these Emus walking along a fenceline. Unlike home; these birds could see me very clearly from every direction. There was nothing to hide behind, so they kept running away. The temperature outside the car was about 47deg Celsius, and it was windy too. I did not want to disturb them; so I had no option but to use a 1300mm lens to capture these pictures. They continued to walk in the opposite direction about 400m away. The pictures look wavey because the heat was causing a mirage effect on the landscape. They were too far away to get a good image, but I am happy that I am able to share what I have. The only point of difference I can see, is that they are very different in appearance to their cousins in the coastal regions. They are skinny and much taller. Overall it was a surprise to see them at all. In the coming months, I will be finding water holes to go looking for wildlife; by doing so, they will come a lot closer and better pictures are more likely. 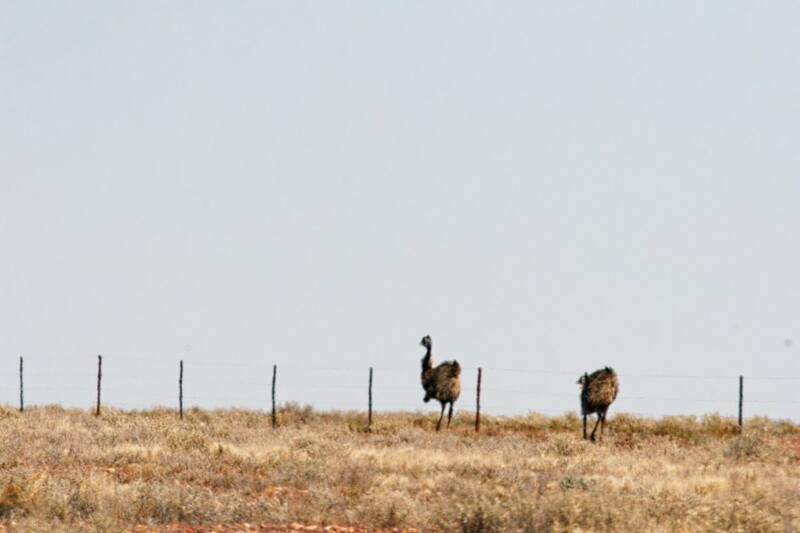 I look forward to capturing an image of an emu in the central desert region over the coming months. But it will not be easy.